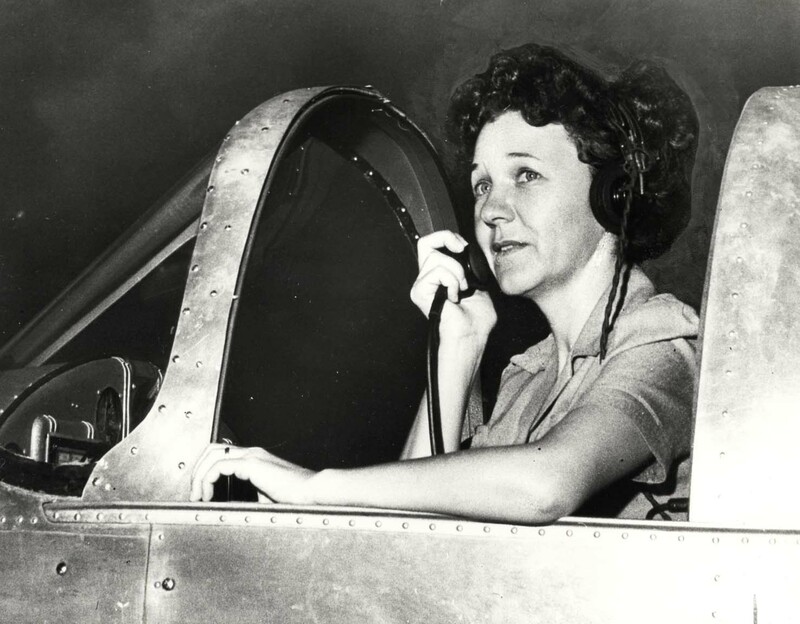 Aviatrix Marguerite Gambo Woods established the Gambo Flying Service in 1939 at John Rodgers Airport to meet the demands by young men for flying training, a number of whom were interested in interisland jobs and preparation for the eventuality of war. The Gambo hangar was the first privately built facility at the airport, adjacent to that of Inter-Island Airways. 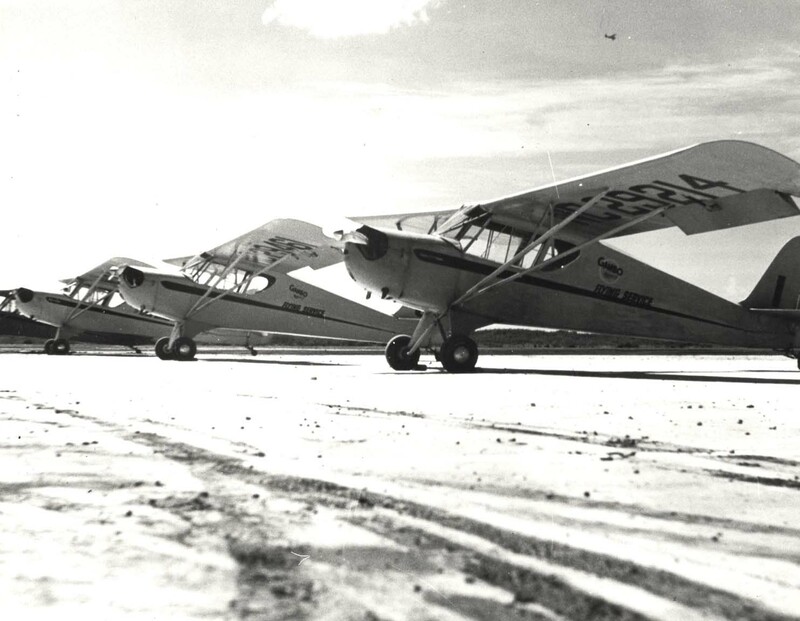 Flourishing rapidly in an aviation-minded community, the school produced aviators who later went on to distinguished duty in the armed forces. On December 7, 1941, Ms. Gambo was flying with a student on a cross-country trip when the Japanese began bombing Pearl Harbor. Seeing what was occuring, she went through a seldom-used pass and landed safely. Four Gambo planes were in the air that day; two failed to return. War saw the government ban all private flying, therefore Gambo Flying Service, and all other private operations ceased. Marguerite Gambo, however, received special permission from the Civil Aeronautics Administration to continue making charter flights to Molokai’s Kalaupapa Settlement, bringing in supplies and medicines. After two delivery flights, the aviatrix accepted a CAA position on the mainland where she assisted in training Navy pilots. Her Honolulu hangar and shops were turned over to the military. In 1945 she returned to Hawaii to inaugurate ground school instruction at the University of Hawaii. Two years later, she went back into business with the Hawaiian School of Aeronautics, providing CAA approved flight training to veterans.